I had big cooking plans this weekend. I had picked up a cheap pizza stone from a local kitchen store and had a tub of yeast starter in my fridge, so was eager to make some pizza’s Sunday night. I also wanted to test a recipe for gingerbread cookies. I had it all planned. I had bought the cookie cutter, piping pencil, an extra tray, everything I need to make them. But its Christmas time isn’t it. There are so many things to do to prepare for, that my plan to cook just never happened! I hit the shops both Saturday and Sunday, and got most of my Christmas shopping out the way. I’m quite a fussy person, I get ideas in my head of what I want to buy people, and if I can’t find the exact thing, if it’s not perfect, then I keep looking! Apparently I’m quite particular in what I receive too, which is really bad (and I got an earful about it the whole weekend from my other half). It’s just that if I like something, I buy it! Which leaves it really hard for others to shop for me. So while I sit here and type this, I’m really disappointed that I can’t share the gingerbreads. I am adamant in making them tonight, so maybe you’ll get another post in a couple of days. 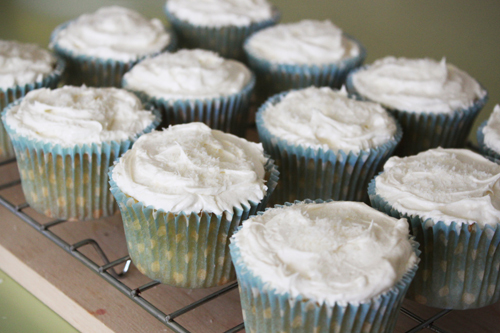 In the meantime, I leave you with these Pina Colada cupcakes. Really they are just the pineapple and coconut cupcakes from the Hummingbird Bakery Cookbook, but I like to think I’m eating a pina colada, because well that’s what they taste like! In a large bowl, beat the butter and sugar until light and fluffy. Add the egg, coconut milk and vanilla and keep beating. Sift in the flour, baking powder and salt, and gently beat for 2 minutes. 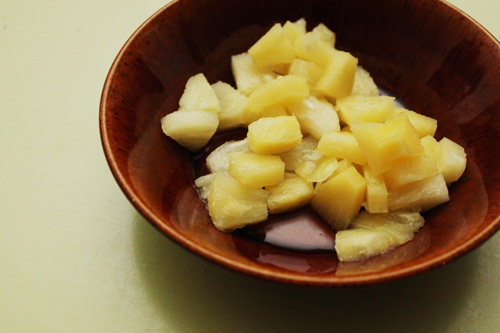 Evenly distribute the pineapple pieces among the paper cases (4-5 each case), then evenly fill up the cases with the batter. Place in the oven and cook for 20-25 minutes, or until a skewer comes out clean when tested. Allow to cool in pan for 10 minutes, then completely cool on a wire rack. 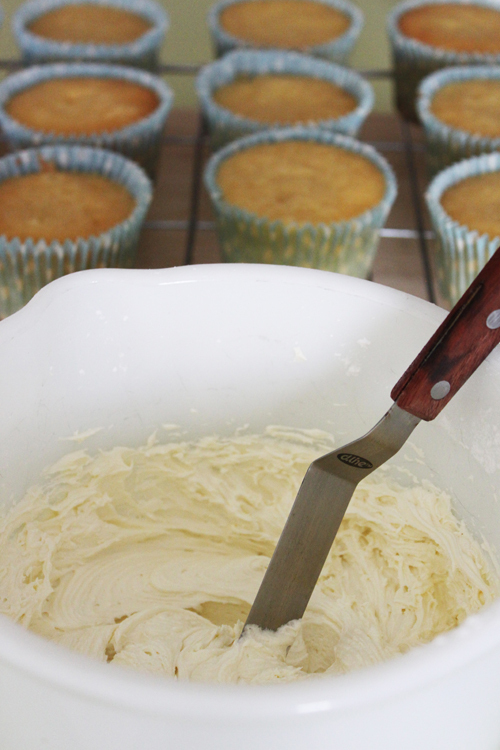 To make the icing, beat the icing sugar, butter and coconut milk on high for 2-4 minutes, until the mixture is light and fluffy. 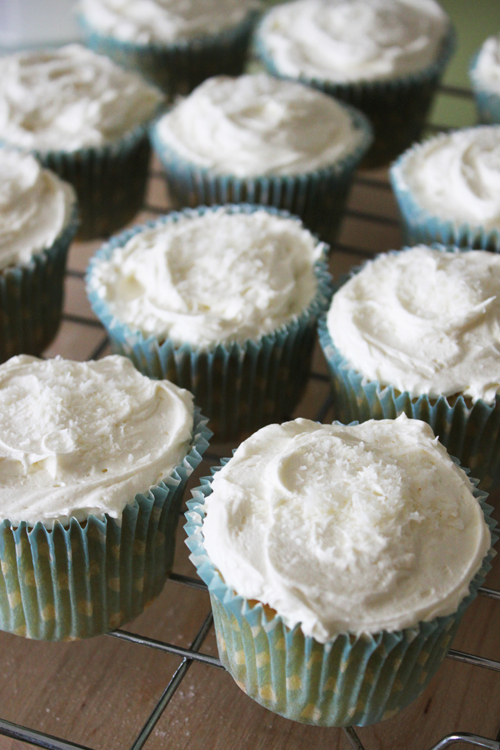 Generously top the cupcakes with the icing, then sprinkle with the desiccated coconut. Christmas is always filled with too much preparations. Sometimes i feel like we forget to have fun...So, i always remind myself. Baking is not for deadlines but for fun! Anywho, Pina Colada always fascinates me. The flavors are exotic + exotic. It's just beautiful and surprisingly good together.